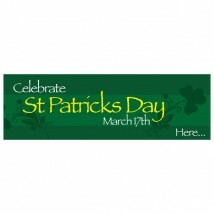 Select one of our free St Patrick’s day banners. 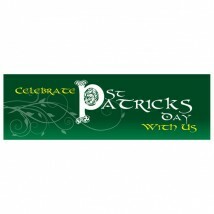 Open our online design tool, make the design changes you want and your personalised St Patrick’s day banner is ready to go to print. 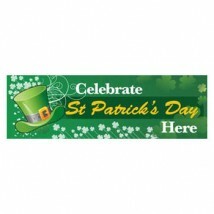 Once you checkout your banner will go into production. 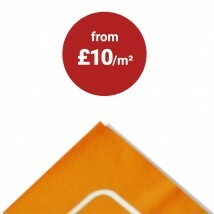 We print in high resolution with bright colours onto a reinforced durable weatherproof PVC vinyl banner material. 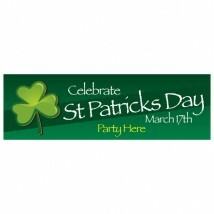 You St Patrick’s Day banner will be delivered with double thickness edges and eyelets to make it easy to display almost anywhere indoors or outdoors. Don't see the template you're looking for? 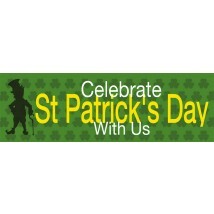 Check out our banner design service to see how our team of experts can bring your ideas to life.